Cough - Printed Diagnosis with Blurred Text on Red Background with Specs. Medical Concept. 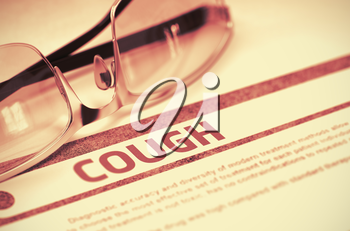 Cough - Medical Concept on Red Background with Blurred Text and Composition of Glasses. 3D Rendering.